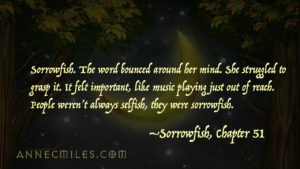 I posted a book quote today that excerpts the chapter wherein the title of the book is explained. It appears in the Lorica as well. I’m still wrestling with this idea, and whether or not it has been adequately explained and demonstrated. So I want to sort through it a bit here, if you’ll bear with me. I was somewhat of an idiot as a teen and young adult. Not your normal awkward teen, trying to fit in. Not your normal confused twenty-something. I was hell on wheels angry. I actively sought my own destruction and the destruction and pain of others. It took many years and a lot of therapy, prayer and then finally raising my own daughter to understand what happened. It was out of all of that, this idea was born. Mostly watching my daughter make mistakes and then mature – I started to really understand. I believe all of us receive wounds, rejections or emotional blows given by actual abuse or tragedies, things all too common in our fallen world. From those wounds, we become lame. We’re functioning, but we’re functioning like a man who’s lost his legs. Only we feel shame for not running or for falling down. There’s anger and resentment there as well. We won’t recognize our true state: mortally wounded. To anyone unaware of the wounds, we can look just – really selfish. That’s what we come to believe is true of ourselves. It puts us in a prison. I’m not saying there is no such thing as evil in the world, or evil people. True evil does exist. I’m not excusing bad behavior. I’m not saying its ok, that hurting others should just be excused. I’m not a believer in excuses. I also know selfishness can be an insidious plague and shouldn’t be tolerated. But what I am saying is when you look back on your own life in horror at the amount of suffering you’ve caused others and you feel it keenly, the pain and your own guilt, remember. You weren’t just selfish. 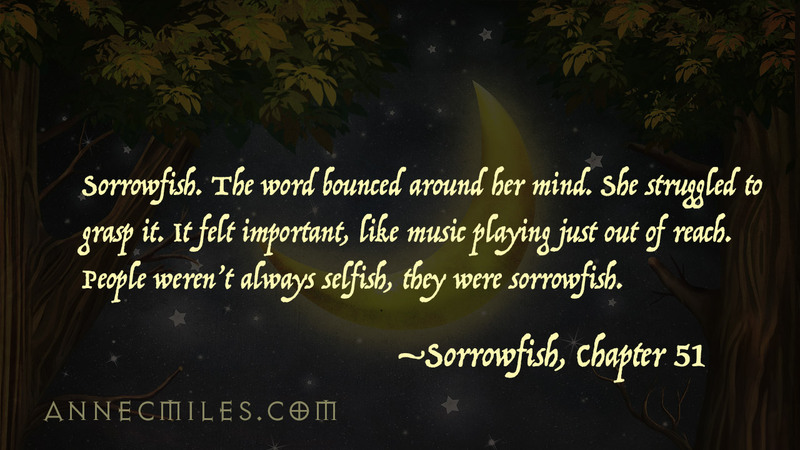 You were also sorrowfish. It can be a path to mercy, a beginning. Mercy doesn’t excuse, but it does understand. I think it’s one reason that a person who has been forgiven much loves much. Not just the fact that they received mercy and through that experience they were transformed, but because they have a unique insight on how the process of receiving mercy works. I think it’s one of the most difficult things of all to grasp. When someone offers you mercy, if you’re not able to receive it then it doesn’t take effect. You might as well remain at odds. You would think a person would jump at the chance for mercy. The reality is that many times, we don’t. We can’t fully accept it and want to continue to try to give ourselves the punishments and judgments we feel we actually deserve. There’s a wall of glass keeping us from the freedom that mercy brings. The idea of sorrowfish helped me to crack one of those walls. It helped me to extend mercy as well as receive it. I’m still wrestling with the idea and feel that I have more to learn, more depths to plumb. But this book is my fumbling to do that. So now you know. I wrote this book to explore something I’ve only glimpsed but hope to grasp, to take in and receive until it’s fiber of my bone. That’s what I have to do to edit this book.